Like so many of you, we’re pretty dang smitten with Erin Boyle, the author and OG blogger behind Reading My Tea Leaves. 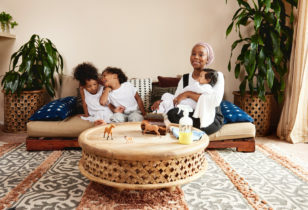 While there are lots of things to love about the Brooklyn-based mother-of-two (Faye, 4, and Silas, 1 1/2), it’s her commitment to simple, sustainable, conscious living that really inspires us most. Which is why we were so excited to have her spill the beans on her current “Mother Essentials” (a.k.a. the products and practices that are currently making her tick). Read ’em all below. Rose & Chamomile Facial Tonic, $22, Marble & Milkweed. Lavender Essential Oil, $6.99, Amazon. Widu Ash Wood Bristle Hairbrush, $29.62, Amazon. Duralex Picardie Set of 4 Toughened French Clear Glass Tumblers, $11.43, Amazon. Onyx Stainless Steel Popsicle Mold, $33.99, Amazon. Library Card, free, Brooklyn Public Library. Washed Paper Bag, $16, UASHMAMA. Nellie’s All-Natural, Wow Stick, Stain Remover, 2.7 oz, $9.40, Amazon. Organic Unpaper Towels, $21, Natural Linens Boutique. Unruffled by Janet Lansbury, free, JanetLandsbury.com. Standard Baggu Tote, $10, Baggu. Counter Culture Forty-Six Blend Coffee, $15.25 for 12 oz. bag, Counter Culture. Apple Music Subscription, $14.99 a month, Apple. Rose Serum, $30, Island Apothecary. Dandelion Diapers 100% Organic Cotton Natural Unbleached DSQ Cloth Diaper Prefolds, 6-Pack, $22.80, Amazon. 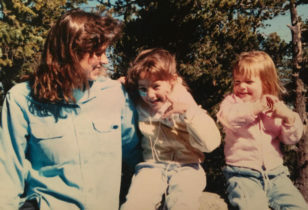 For more on Erin, be sure to check out her 2016 Mother profile. 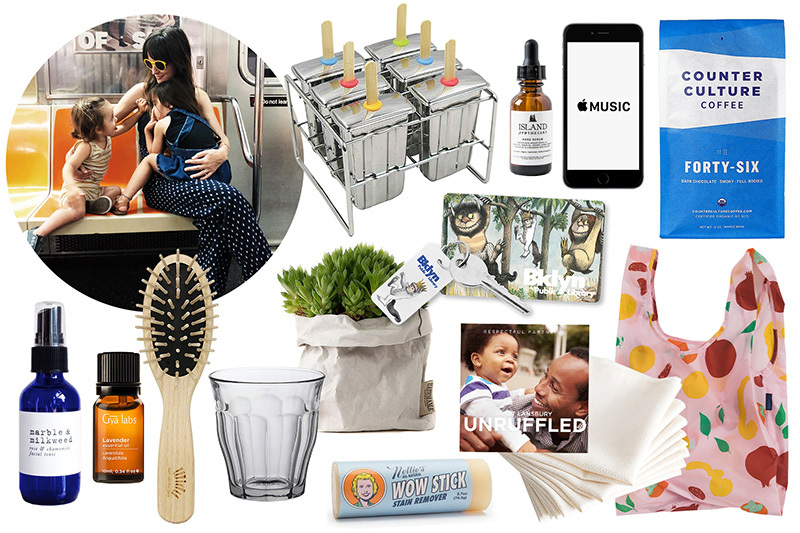 And for more Mother Essentials, peep last week’s debut column with Joy Cho of Oh Joy!